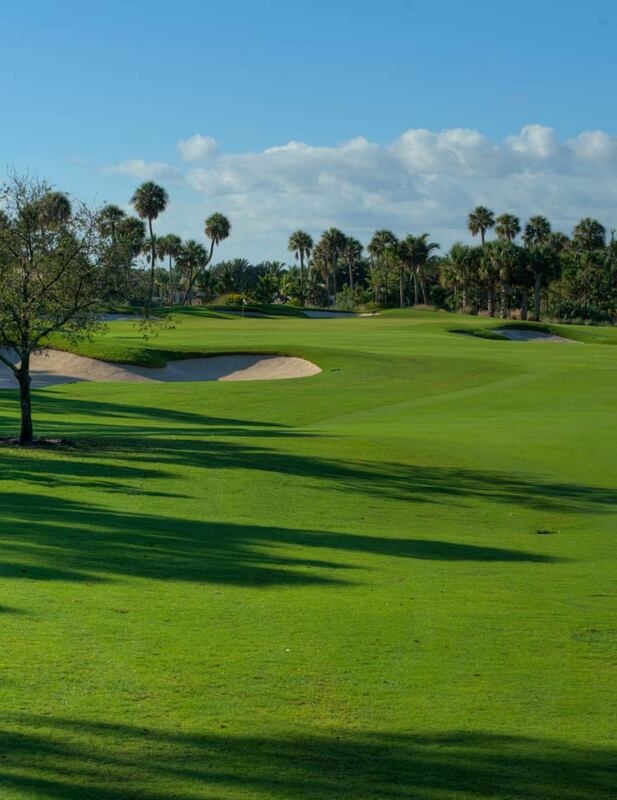 A great starting hole, featuring a slight dogleg to the left. The fairway gently rolls, so you may encounter diverse lies. A bunker complex highlights the right side of the driving area, while bunkers short and long of the green frame the green complex. Some traditional “redan” design features are incorporated in the par 3 second hole. The green is elevated and a false front forces players to analyze and to trust the yardage guide. A challenging 433-yard, par 4 features a slight dogleg left. 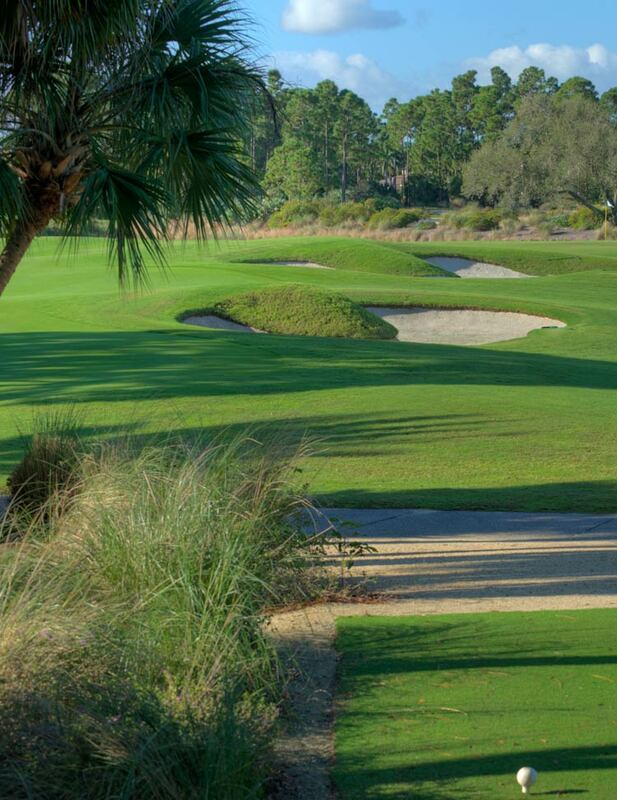 The fairway features a gentle roll throughout so players experience a variety of lies. Several fairway and greenside bunkers define the landing area and the elevated green. This is a good solid hole with no hidden hazards. The first of the par fives on the front side, this hole is “long and strong”. Due to the length of the hole, there is an ample landing area to encourage players to hit their longest drive. 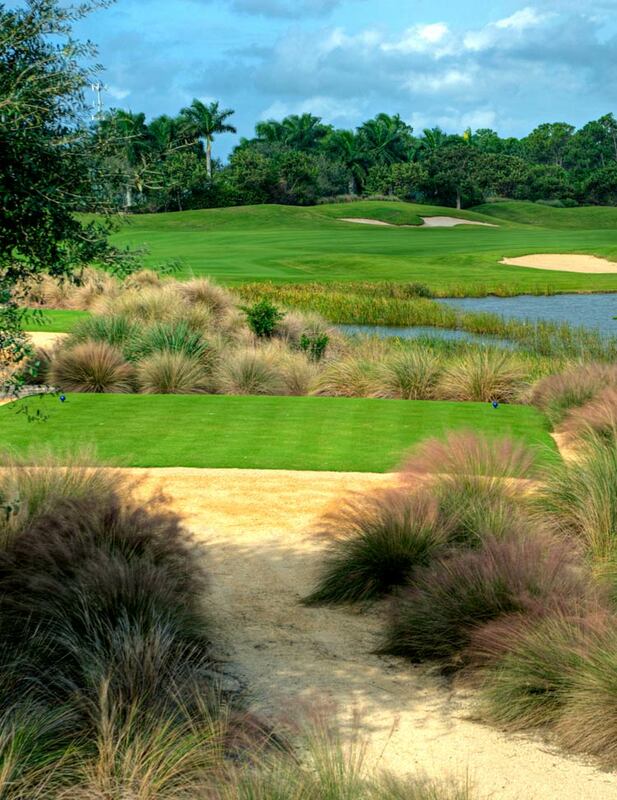 The green has been designed at a lower elevation, tucked into a slight hill and protected on the right by water. A player needs to think strategically prior to hitting the second shot. The wise play is to lay up 100 yards short of the green and utilize the elevated approach. 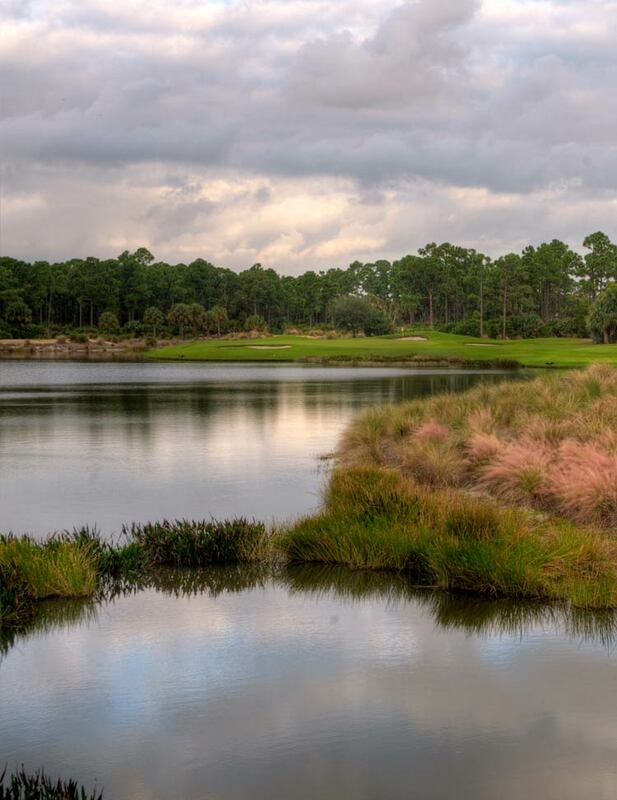 This 423-yard hole sets up with a slight dogleg right and although water skirts the entire right side, it only comes into play when the hole is played aggressively. This hole gives players a variety of options from the tee. 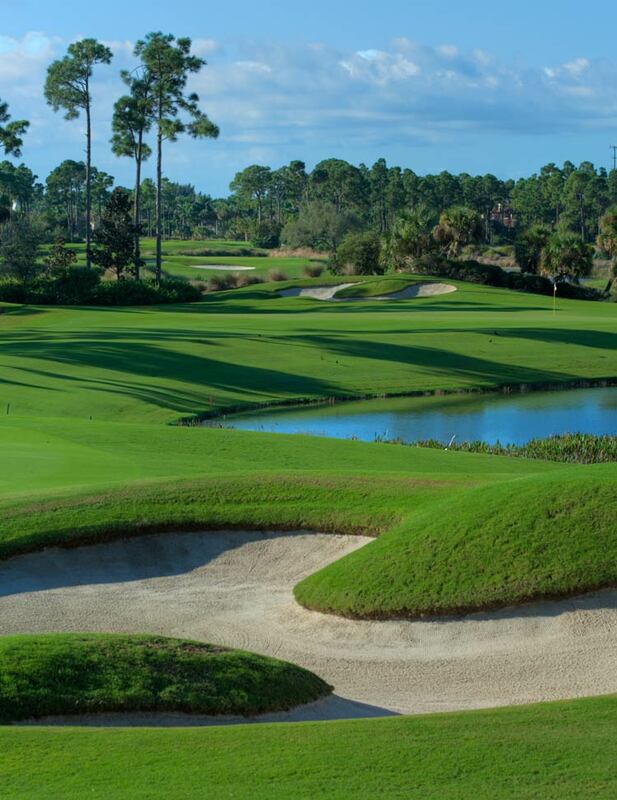 This par 3, signature hole features elevated tees so each player can enjoy this beautiful setting. The green complex is designed to harmoniously blend into a gentle hillside that features a small water feature and creek as a stunning backdrop. 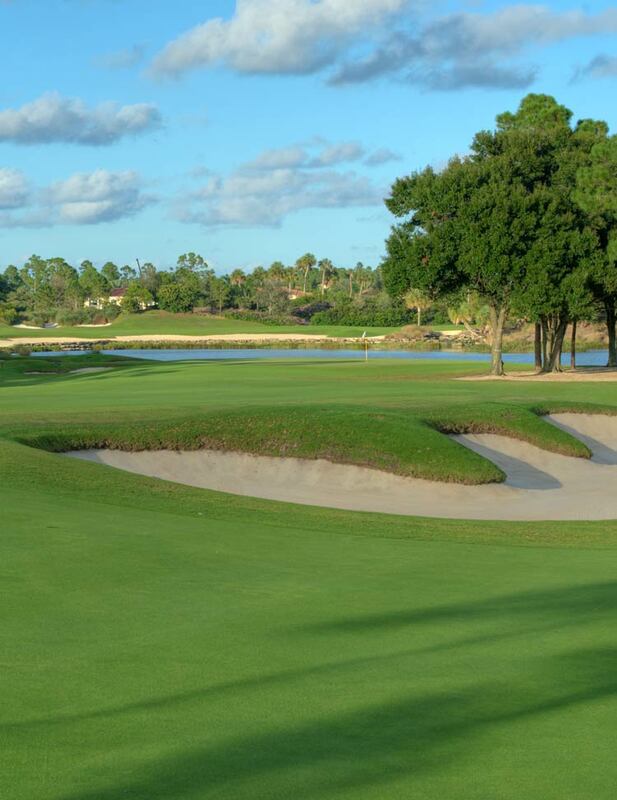 Although the green is guarded by water in the front and to the right, there is a generous greenside approach area on the left for more “conservative” play. 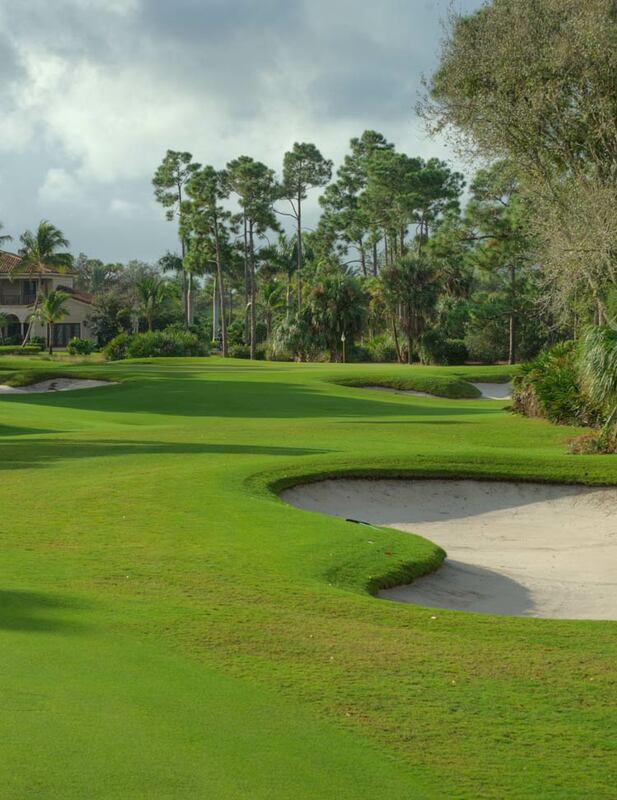 The seventh hole is a slight dogleg right – straightforward and fun to play. 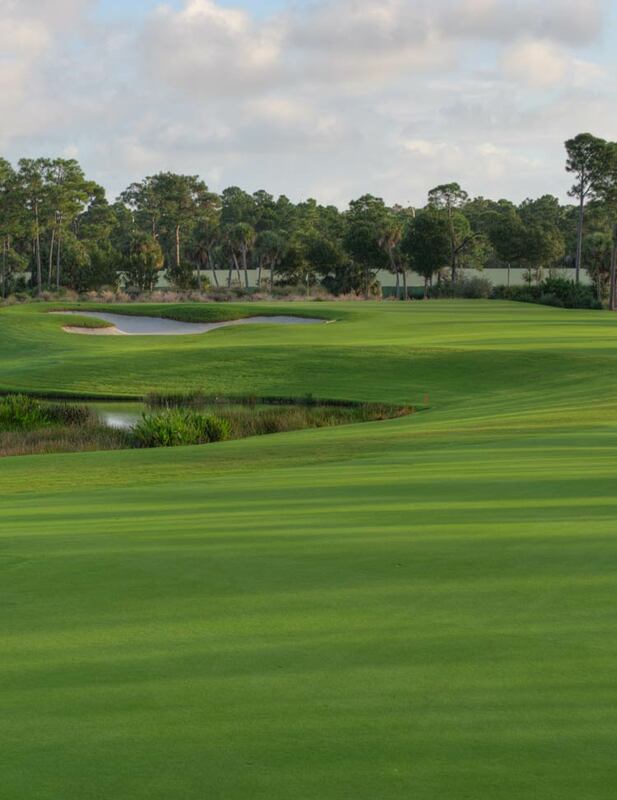 Native vegetation frames the tee complex and fairway giving players the feeling of a narrow fairway landing area and placing an emphasis on accuracy from the tee. 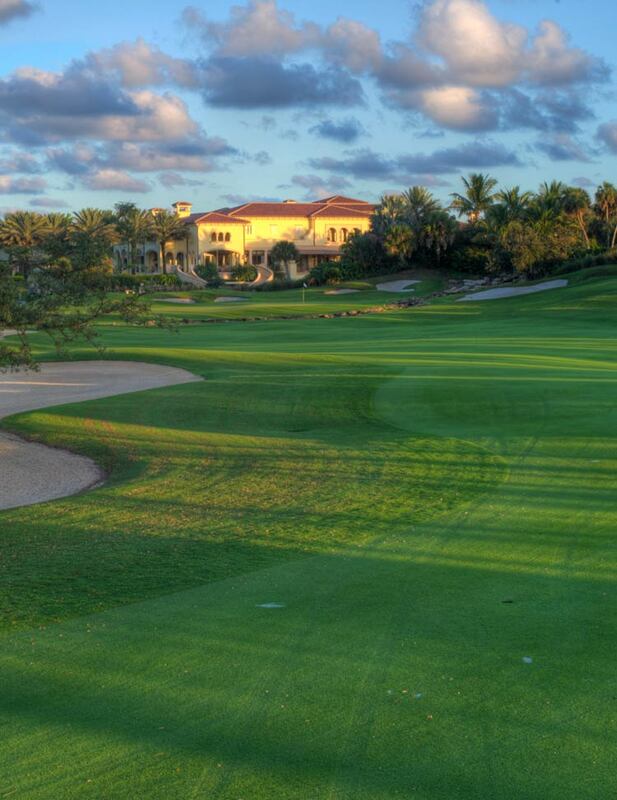 An elevated landing area rewards a well-placed tee shot, giving players a clear view of the entire green complex. The eighth hole plays straight away and is designed with a lot of “roll” through the fairway areas. Water skirts the entire right side of the golf hole and the tees are designed and placed to utilize water as a strategic element. Although a driver can be played from the tee, the player must contend with the water and a tighter landing area. If a player is not driving the ball effectively then a three-wood or long iron from the tee is the smart play. 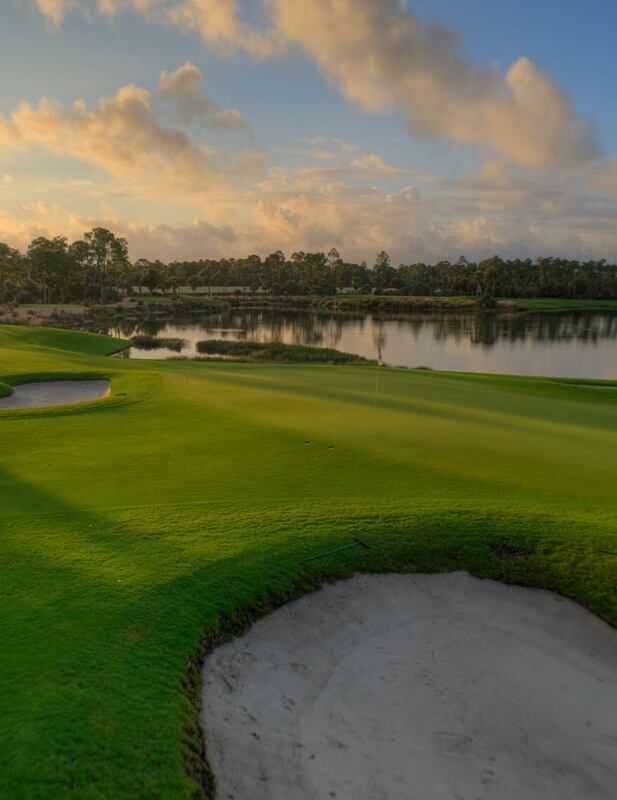 The second par 5 on the front side is 537 yards and lets players know the “turn” is nearby providing a panoramic view of the ninth fairway, the main lake skirting the right side of the fairway, the first hole and the clubhouse. As a complement to the “comfortable” start on the first hole, this hole is designed to allow players to challenge par. This risk/reward approach lets a golfer try and get home in two with a “big” drive. 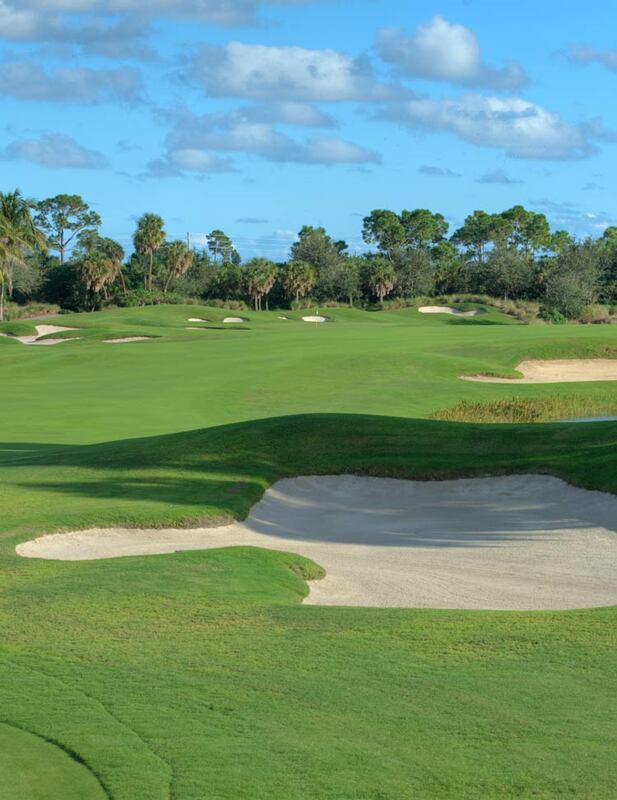 The 10th hole gives players a glimpse of what to expect on the back nine, which is demanding and requires golfers to play well in order to “score” well. At 470 yards this straightaway par 4 has a prominent “cross-bunker” bisecting the fairway, forcing players to be long but accurate. In addition, nice native vegetation frames the tee complex and portions of the fairway, which gives players a beautiful view from the tee. 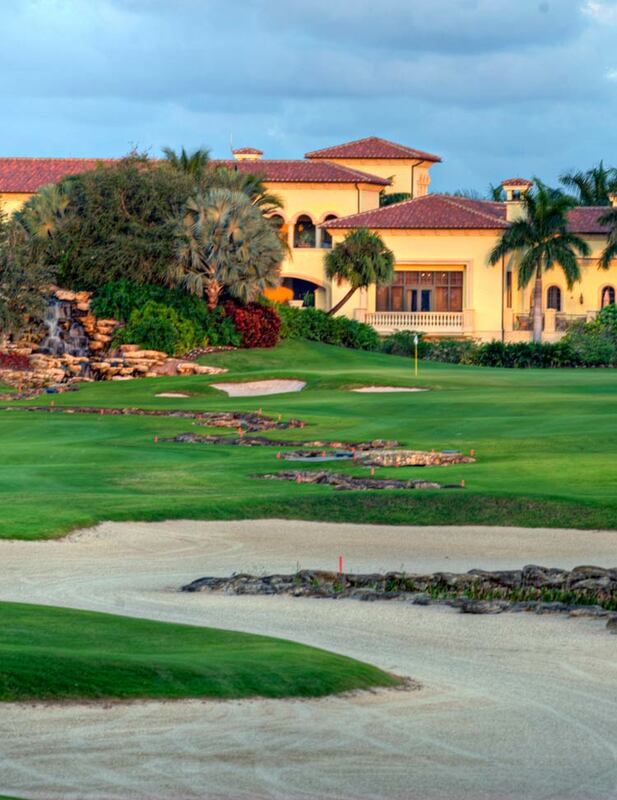 At 191 yards, this par 3 is as challenging a golf hole as any found in the Palm Beaches. The tees are all elevated so the view into the green is all encompassing. 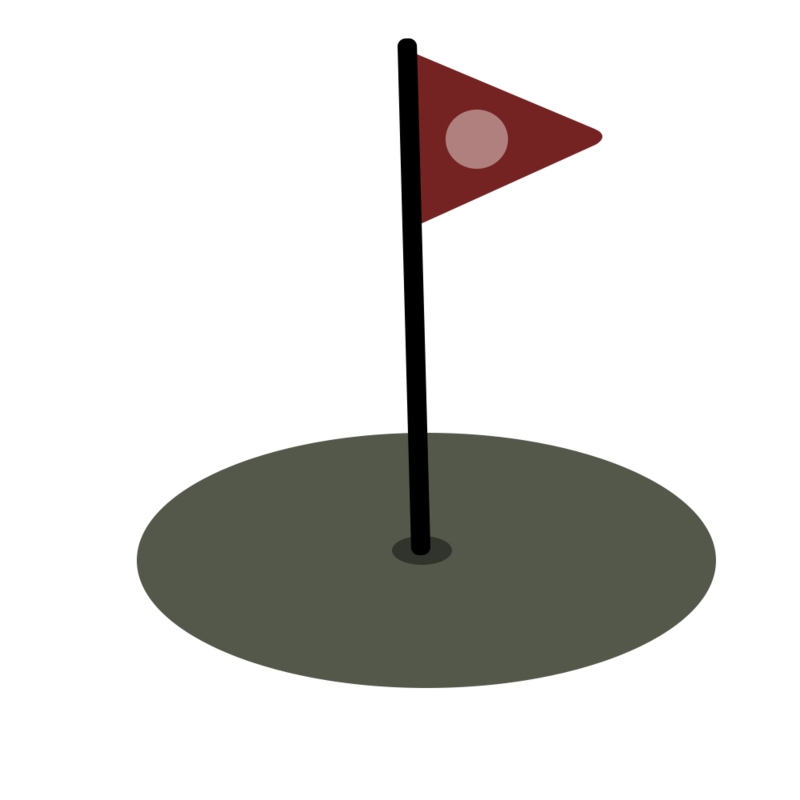 The waste area on the left protects the green and highlights the water skirting the left side of the entire golf hole. The large green provides ample room for the long approach shot required. The first par 5 on the back nine is a great complement to the 10th and 11th holes. The fairway landing area on the 12th hole is the most generous on the course. Like many of the holes on the back nine, native vegetation frames the golf hole from the first landing area into the green. 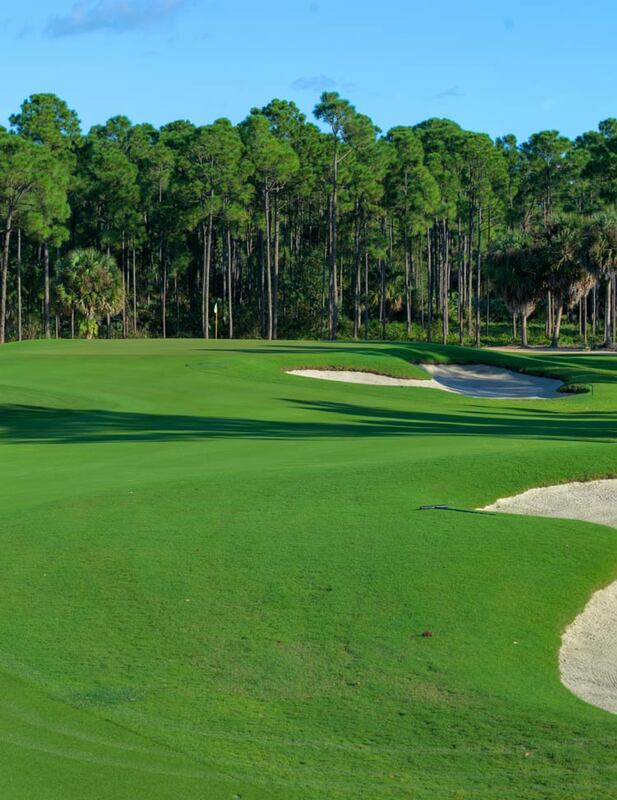 Since the hole is fairly long, there is an emphasis on the third approach shot to the green, which is nestled among towering pines and is defined by a bunker complex to the right of the green. At 402 yards this par 4 is pretty much straightaway and very playable. 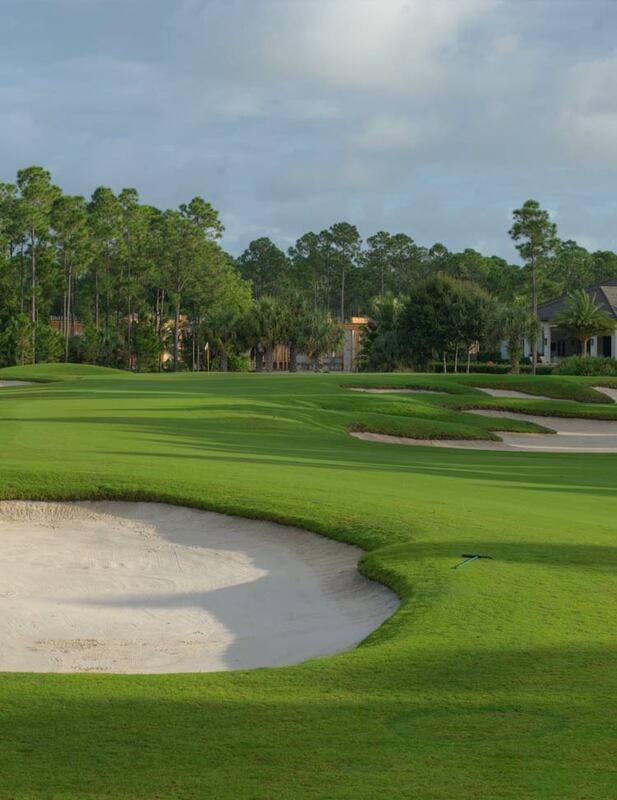 Although there are several sand bunkers on both sides of the fairway, requiring players to be accurate from the tee, the green complex is very subtle and nestled into a stand of pines. A challenging 433-yard, par 3 features a slight dogleg left. 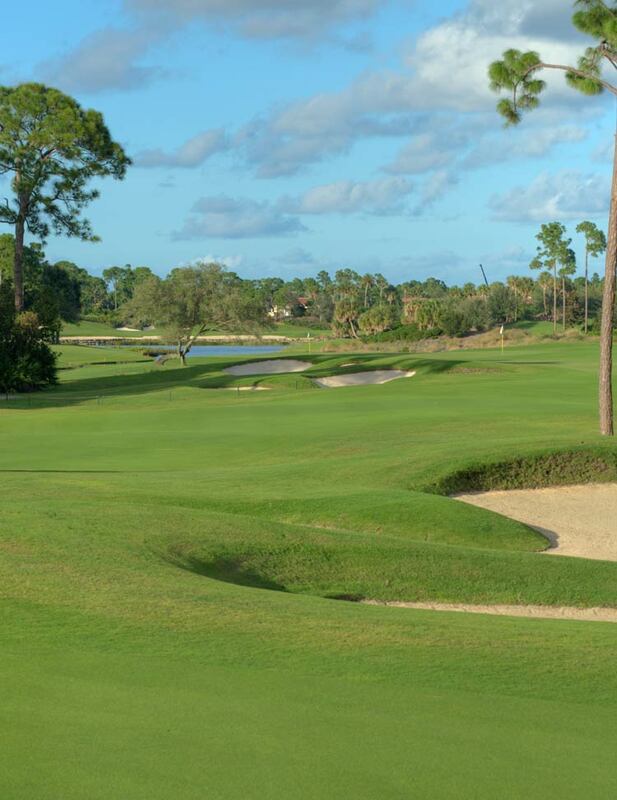 The fairway features a gentle roll throughout so players experience a variety of lies. Several fairway and greenside bunkers define the landing area and the elevated green. This is a good solid hole with no hidden hazards. An attractive par 3, players get a panoramic view of the entire hole from the elevated tees. 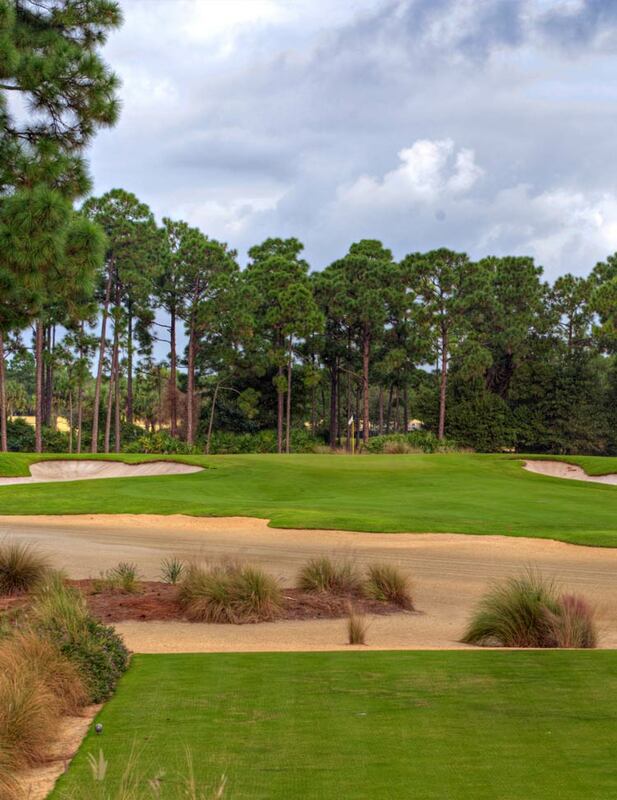 The green is tucked into a backdrop of native pine and palmetto and offers players a variety of shots to play. Although this hole plays straight away it can be very challenging from the tee. 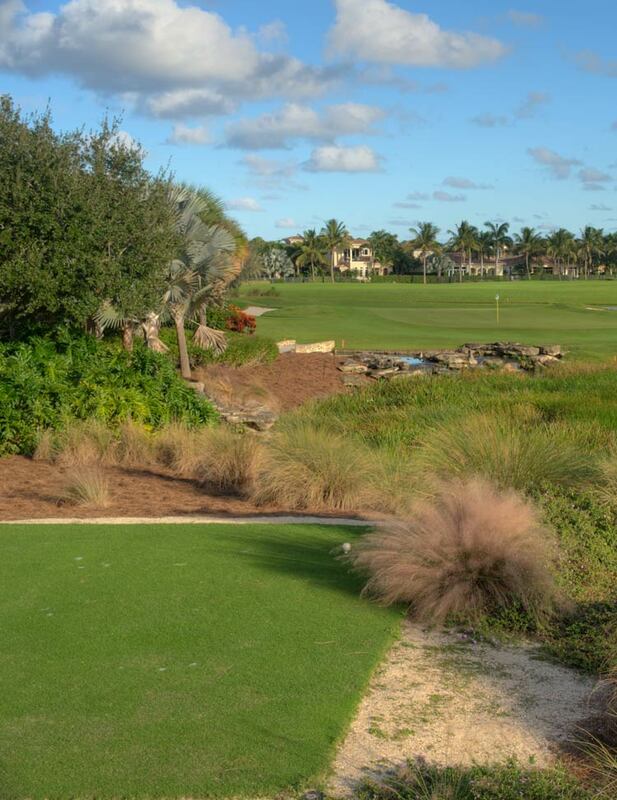 There is nice native vegetation on both sides framing the golf hole from tee to green. This is another tough but fair challenge. The second par 5 features water next to the tee complex, which helps to define the first landing zone. Waste areas highlight the elevated landing area, which is designed to receive and promote a long tee shot. Although the hole measures 546 yards, the green has an open front approach to encourage long-hitting players to reach the green in two. This challenging hole rewards good play with a strong chance at birdie, prior to taking on the 18th. The final hole is a strong par 4. This hole plays uphill to a tight but fair landing area. 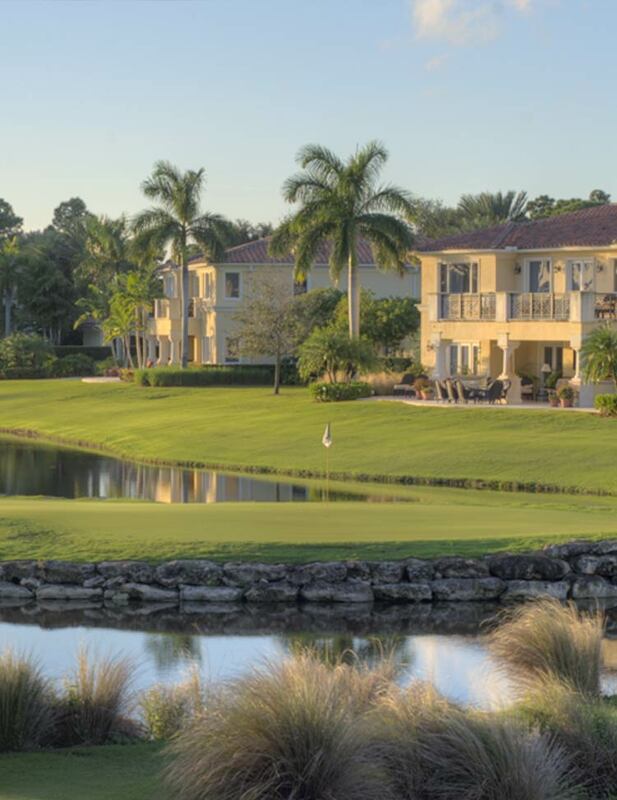 A beautiful waterfall cascades to the right of the green and flows through the fairway in the form of a small stream, creating a very memorable finishing experience. The approach shot into the green emphasizes the fairway contouring and utilizes the hillside and water feature as a beautiful backdrop. 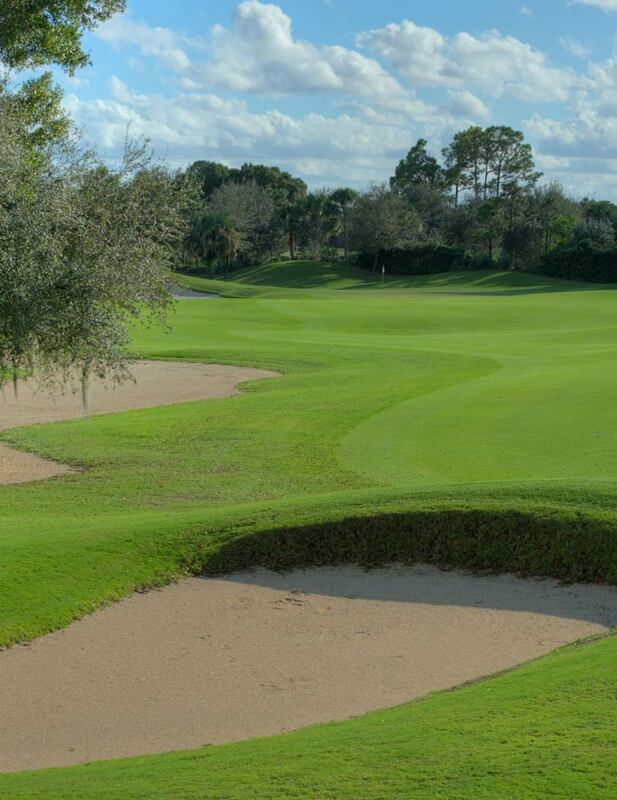 The green complex is protected by several sand bunkers and requires accuracy. A heroic style Par 3, 19th hole to settle any bets.